I Fully Support This Initiative: Origins Global ReLeaf | Bright & Beautyfull! I think Earth Day is in April. Think? I can know that in a quick second — yes, that would be 22 April. Life without Google is simply not worth contemplating. Origin are going one better, or 29 better, and have declared April 2012 to be Earth Month. I am digging this, and so will they: when you buy anything from their Perfect World™ line, the company will plant a tree on your behalf as part of their Global ReLeaf initiative. That is excellent! I would very much like to have a dogwood planted on my behalf. One of the gardens in my new road has one, and it is gorgeous. Or maybe something majestic like an oak. Maybe I will just have to buy two products. I’ve been using the Antioxidant Moisturiser with White Tea* and have been liking it bunches. The thing with these lil’ tubes of Origin is that you think, Hmm, that tube is lil’, but you don’t need much to get excellently moisturising coverage. 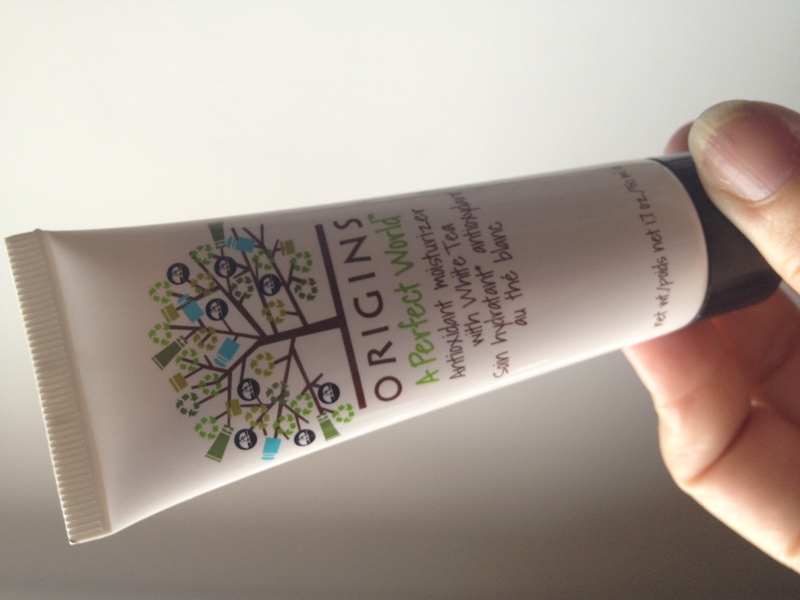 They sent me the new Origins A Perfect World™ BB SPF15 Age-defense Tinted Moisturizer with White Tea (€35.50/£27.00) which I am still in the process of forming an opinion about, and which is launching next week. Opinion is fully formed re: planting trees. More of that, please. Oh, also! Origin are holding a Trade-In Day in 21st April. If you bring in any empty skincare product (from any brand) you can trade it in for a complimentary full size of either Starting Over™ Age-erasing Moisturizer or A Perfect World™ SPF25 Age-Defense Moisturizer. Good deal! *Will edit for prices when I get them. This may not have been launched yet, either. ANTIOXIDANT, BB CREAM, ORIGINS, TREES!